Whether you are a large state or federal government agency, prime vendor, local county or foreign entity, Federal Resources’ $12 billion catalog has the efficient, cost-effective and distinct contract vehicle to meet your mission and requirements. As your total life-cycle sustainment provider, Federal Resources is a single source for procuring and acquiring what you need, when you need it through our array of specialized contract vehicles. Working within the framework of each varied contract system, we strive to deliver the procurement and acquisition solution that fits your budget and timeline. Our diverse portfolio of Tailored Logistic Support (TLS), Indefinite Delivery/Indefinite Quantity, GSA, State/Local Acquisition, Foreign Military Sales, Global Acquisition and custom contract vehicles contributes to the advancement of our mission. These Defense Logistics Agency (DLA) contract vehicles provide authorized government agencies, both CONUS and OCONUS, a quick and easy option to allocate MIPR/MILSTRIP funds. Our TLSP contracts provide total logistics support for Special Operational Equipment and Fire and Emergency Services related equipment. This contract includes two primary procurement components. 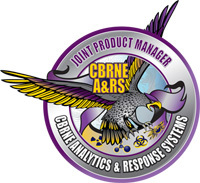 The first is procurement of COTS CBRN equipment and training, and the second provides ancillary support and sustainment, including subject matter expert technical support. The ANG IDIQ scope contains a broad spectrum for the procurement of emergency response and emergency response support equipment and subject matter expert technical support. 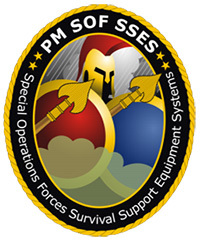 SSES offers the ability to test, evaluate, procure and sustain Special Operations Forces (SOF) equipment systems. Edgewood’s ADM IDIQ affords the accelerated acquisition of integrated design, engineering and the development and manufacturing of functional prototypes and deployable systems. 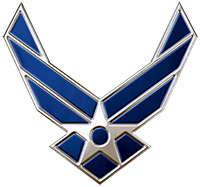 BAMS is an online supply chain management system operated out of Wright Patterson Air Force Base (WPAFB) allowing U.S. Air Force Operators’ Battlefield Airmen to order and track a wide range of pre-approved mission-critical goods and services including tactical, soft goods and specialized equipment. 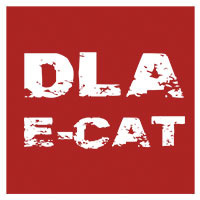 DLA’s E-CAT is an easy-access online ordering, distribution and payment system providing DoD and other federal customers access to the commercial catalogs of multiple manufacturer and distributor networks featuring equipment at discounted prices. This automated system facilitates procurements of any size – from bandages and other supplies to large-scale solutions like build-outs for Intense Care Units. FedMall is a web-based online ordering platform providing a full-service e-commerce site to find and acquire off-the-shelf, finished goods and services for DoD and other state and federal agencies. Federal Resources will help you establish and use BPAs, freeing up valuable administrative time with fewer ordering snafus and less paperwork. Once established with a BPA, you can expect increased buying power, quantity discounts, rapid delivery and expedited reorders with no minimum purchasing requirements. BPAs can be used for multi-agency/units and partner agency/units. Many U.S. government acquisition departments utilize the small business administration (SBA) 8(a) Partnership Program enabling the acquisition department to benefit from direct awards to contractors. This contracting mechanism benefits multiple Alaska Native and Tribally Owned small businesses that operate within these guidelines. Federal Resources collaborates with various businesses through strategic alliance agreements and the Mentor Protégé Program launched in 2016. Federal Resources is proud to support small businesses by supporting them in their pursuit of contract opportunities which can range from twenty-two-million-dollar direct award contracts to large scale 8(a) competed IDIQ contracts. Federal Resources’ team of 8(a) specialists works directly with contracting offices and small business associates to put commercial products and service contracts in place and provide tools to contracting officers, U.S. warfighters and first responders. The IBC IDIQ contract ​is available for use by DOI and other federal agencies including the Department of Homeland Security (DHS), Department of Justice (DOJ), United States Department of Agriculture (USDA), Department of Defense (DOD), and the Department of Energy (DOE). This contract provides a turn-key solution for a variety of field communications hardware and software products, such as multiband radios, as well as communication solutions for aviation and maritime. Utilizing the Joint Enterprise-Research, Development, Acquisition, and Production/Procurement (JE-RDAP) IDIQ contract, Federal Resources supports the research and development of chemical, biological, radiological, nuclear, and high-yield explosives (CBRNE) defense systems, capabilities, equipment, supplies, and material, in addition to the production/procurement of the future developed capabilities to meet the portfolio’s RDAP requirements. Among other competencies of Federal Resources’, this includes Individual Protective Equipment; Medical Devices; Explosive Detection and Identification; and Forensics. CEED gives members an innovative acquisition mechanism for research, development, test and evaluation and prototype development of new technologies and products that advance the Federal Government’s capabilities. C5 very similar in operation as the CEED OTA. 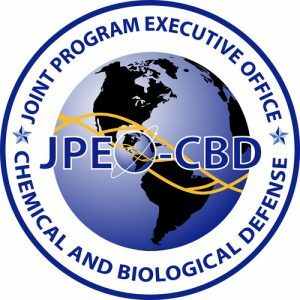 JE-CLaSS is a flexible, cost-controlling option for the engineering, logistics, product analysis, supply-chain, training, maintenance, quality assurance and support required for CBRN, environmental, safety and occupational health equipment. The customer provides the requirements and run the procurement, and JE-CLaSSSM does the heavy administrative lifting on your behalf.